Mercedes-Benz Forum > Vendors > CARiD.com > KW Suspensions Big Savings at CARiD! 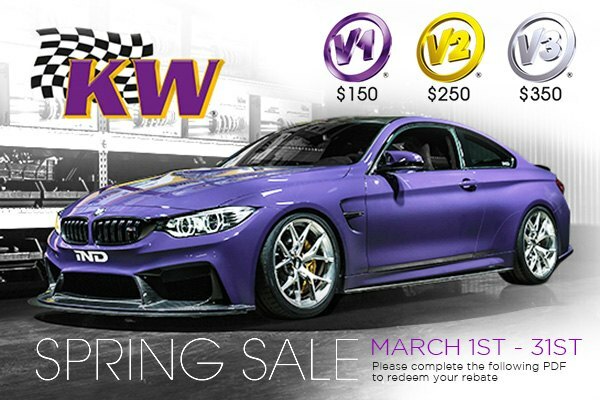 KW Suspensions Big Savings at CARiD! Stock suspension systems are perfect for regular driving conditions, as they provide just enough responsiveness with comfort and softness. Yet, for spirited driving, it may be not good enough. KW coilovers is a perfect way to improve handling and lower the ride height of your Mercedes. Coilovers are a combination of lowering springs and specially tuned shortened adjustable shock absorbers. As a result, you'll get the best balance between sporty driving and comfort. We are here today with a new offer on KW Suspensions! Purchase KW Suspensions V1, V2 or V3 Coilover Kit and GET up to $350.00 rebate. Don't waste your time! This offer is valid through March 31, 2019. Please complete the PDF form and follow instructions to get your rebate. Last edited by carid; 03-14-2019 at 08:42 AM.